Co-located with the hospital’s emergency department we’re looking for GPs to join our team at the West Middlesex Urgent Care Centre, supported by an expert team you’ll benefit from flexible working and highly competitive rates. 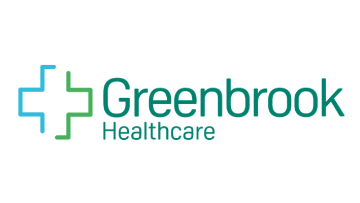 As the largest provider of Urgent Care Centre services in London, Greenbrook Healthcare are experts in Urgent Care. Hounslow UCC at the West Middlesex Hospital is open from 24 hours a day, 365 days per year service, co-located with the Hospital’s A&E department and offers treatment for both illness and injuries to walk-in patients. Lead by a team of excellent GPs, Emergency Nurse Practitioners and a supportive management team, a role as a GP within Hounslow Urgent Care Centre offers a friendly and modern working environment. GPs in the service enjoy variety and interest because of the diversity of patient presentations typical of an urgent care setting. We can offer you sessions to fit around your commitments. Hounslow UCC at the West Middlesex Hospital is a 24/7 service and we have GP sessions available during the week, at weekends, during the day and overnight. Currently we’re especially looking for GPs able to carry out work overnight and at weekends – these sessions are offered with significant increases in salary / rates.